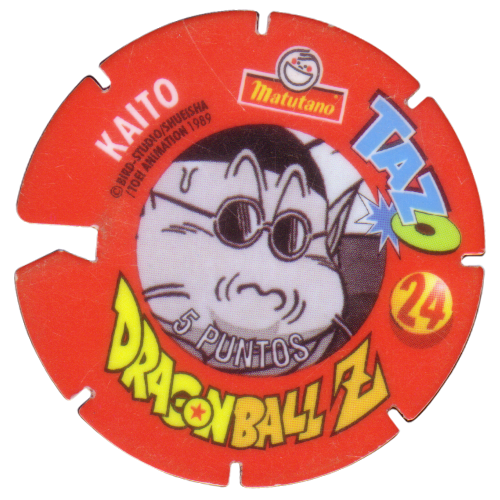 Info:These Tazos were given away with packs of crisps made by Matutano in Spain. 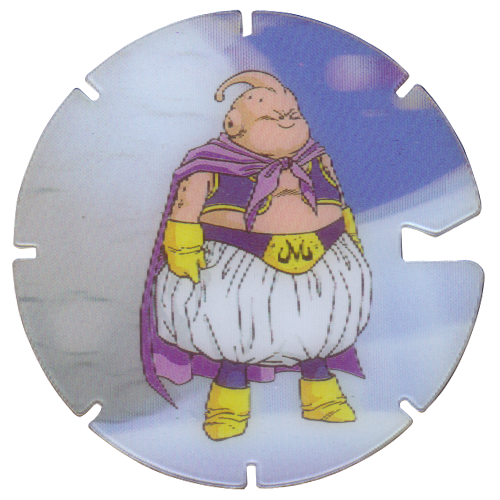 They feature various characters from the Dragonball Z cartoon series and manga. 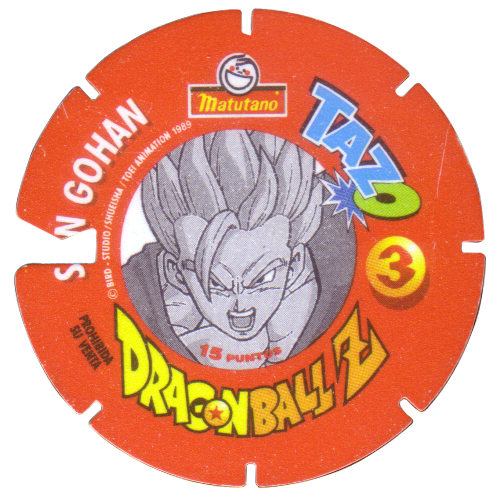 On the back of each tazo it gives the name of the character depicted, the number of the tazo, a point score, and a black & white close-up of the character's face in the centre. 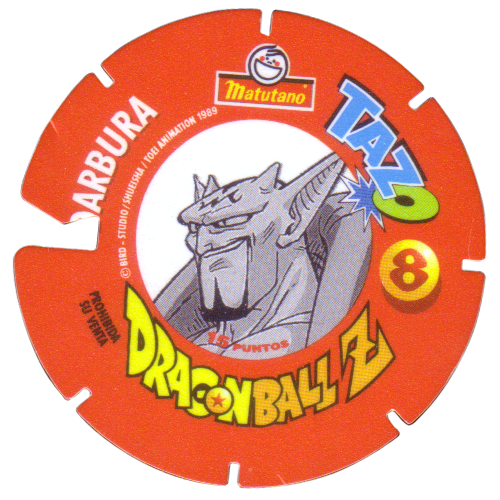 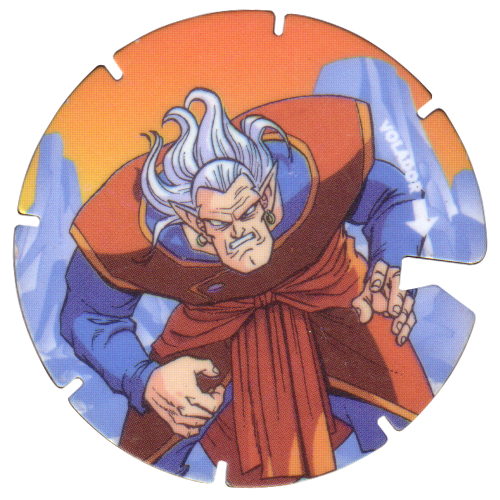 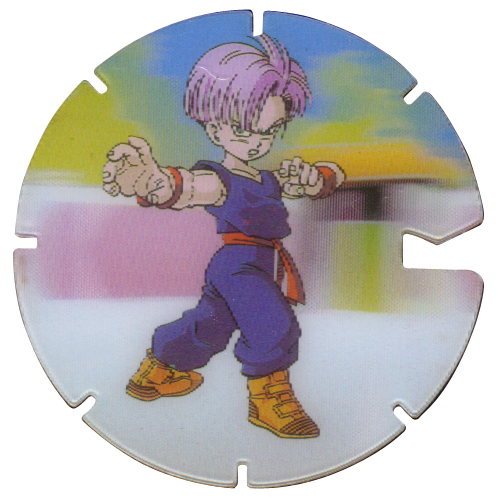 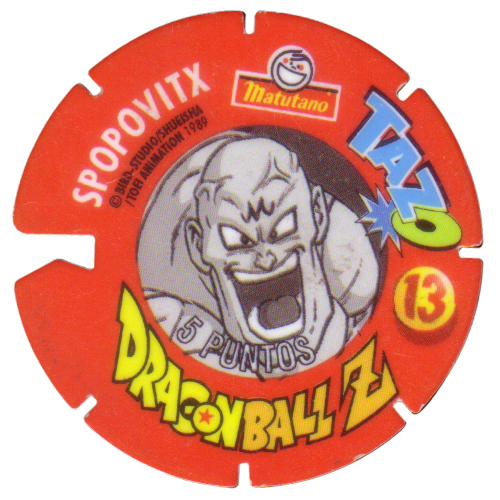 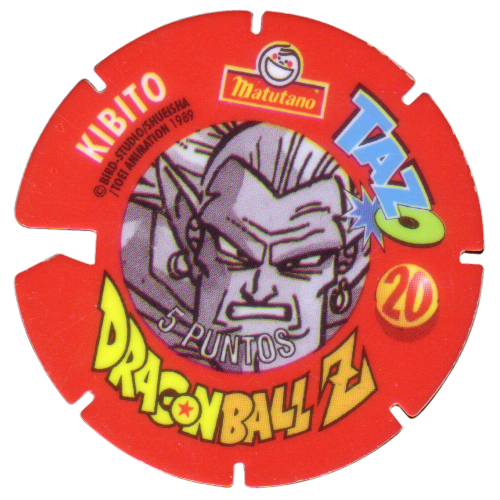 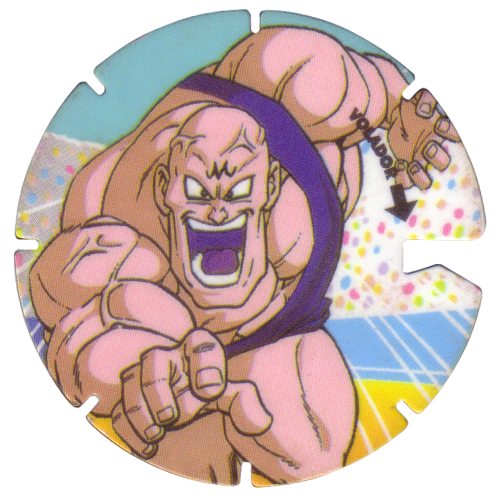 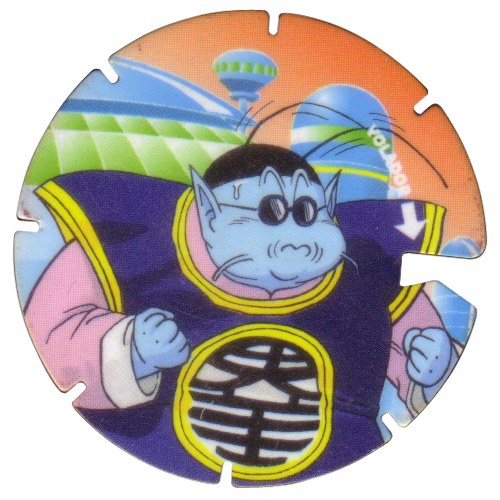 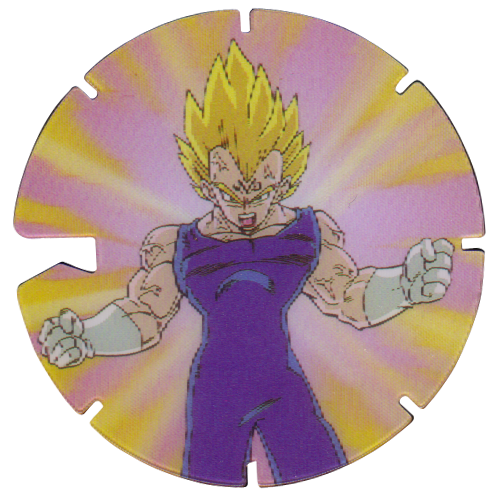 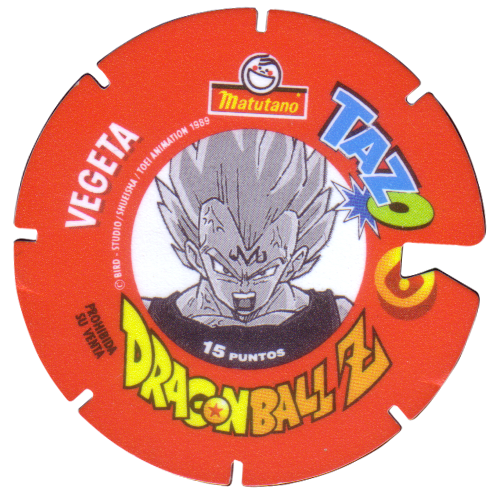 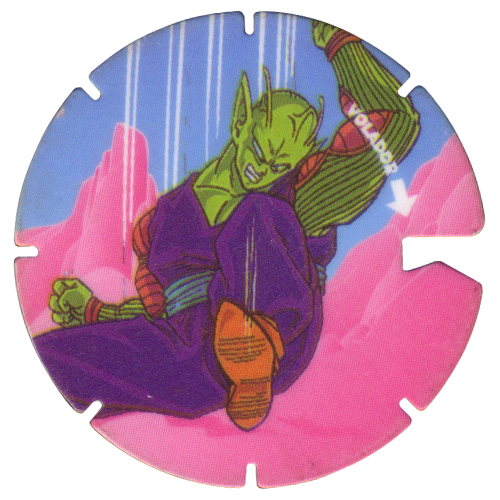 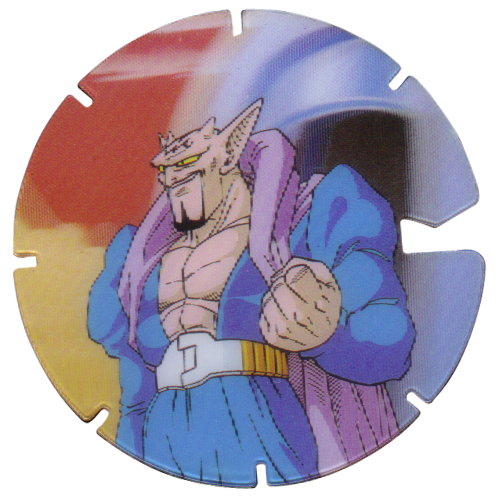 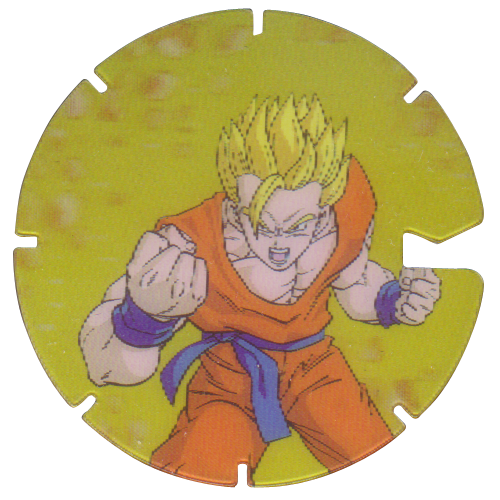 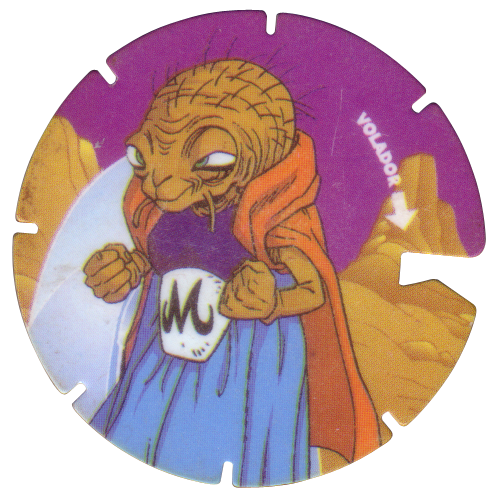 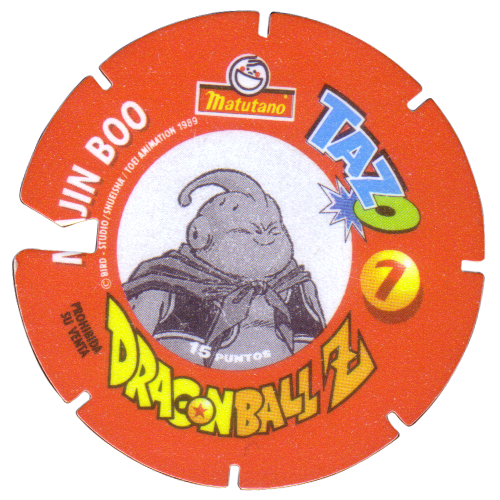 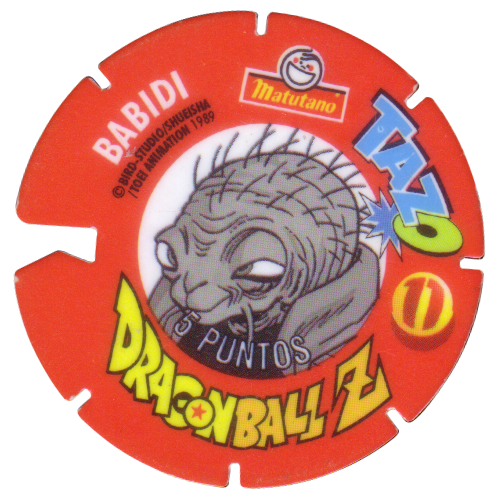 Series 3 of the Dragonball Z tazos are circular in shape, and have notches cut into the sides, with one large notch. 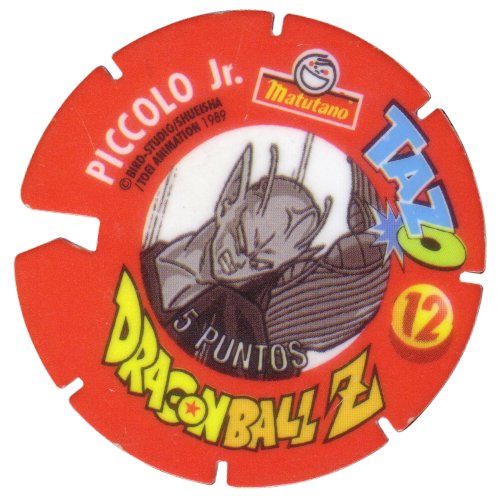 The first 10 of the tazos are lenticular. 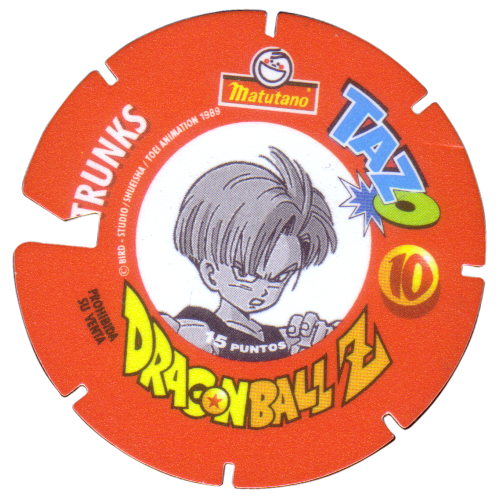 There are probably 24 tazos in the full set.